A beautiful, hardboard, full-color, landscape screen with the simultaneously dangerous and endangered student body on one side and all the most important charts and tables on the other. 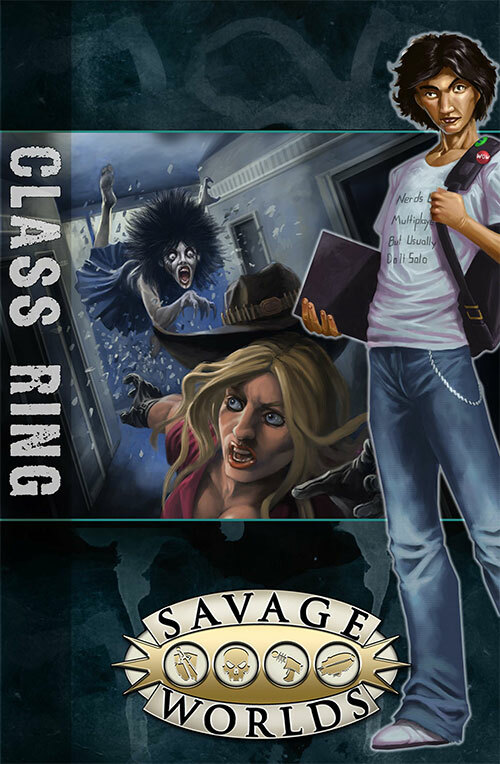 The GM’s screen also includes the 32-page adventure “Class Ring,” a creepy tale of love and revenge written by Ed Wetterman his own self! 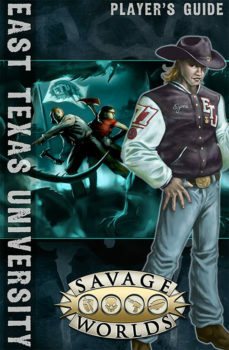 The ETU GM Screen is a full-color, 3 panel, landscape format hardback screen, which comes with the 32 page full-color adventure Class Ring. 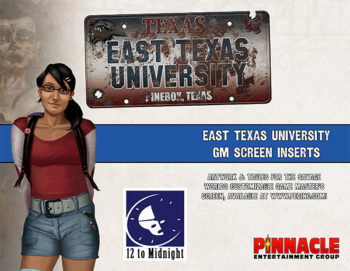 One side of the GM Screen features art by Aaron Riles; the other has all the tables and handy reference items a GM needs to play East Texas University. They say the Language Arts building at East Texas University is haunted. They’re right. In Class Ring, a late night study session takes a supernatural direction when the ghost of a beautiful young woman reaches out for help. 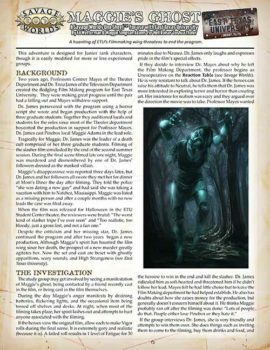 Who was she, and why is she haunting the building? How many other spirits share her fate? It’ll take strong nerves and sharp minds to unlock the mystery of the spirit’s demise and free the building from its haunting.